In business for more than 30 years, Ricardo Beverly Hills has earned a reputation as a fashion leader and trendsetter in the luggage industry. The company was founded in 1978 by Richard "Ricardo" Gibbs, who was a travel products salesman for 40 years prior to launching Ricardo Beverly Hills. Identifying a need for great looking luggage with superior performance, Ricardo founded Ricardo Beverly Hills in his home. Easy to use and wipe clean, they also stand upright on the counter or hang with the included metal hook. The Ricardo Mar Vista 19 inch Backpack is laptop capable. The Ricardo San Marcos Travel Tote in Grey can be used as an every day shopper. This tote from the San Marcos collection stands out for its thoughtful mix of style and function. The perfect companion for any weekend getaway. 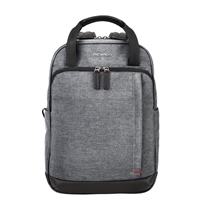 The Ricardo Mar Vista 17 inch Backpack is every day business capable. 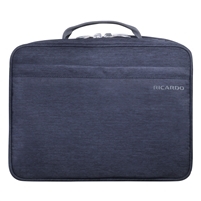 The Ricardo San Marcos 20 inch Duffel in Grey doubles as a stylish gym bag. Fits under most major airline seats with ease. Since its inception, the company has been driven by its commitment to create well-made luggage to suit the needs of travelers no matter where their destinations may be. Recently named in National Geographic's 10 Best of Everything book, the company attributes its success to a never-ending dedication to designing fresh, unique and innovative luggage collections. 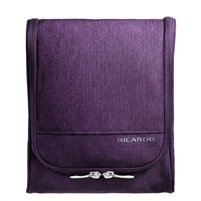 Ricardo Beverly Hills is one of the largest luggage companies in the United States and continues to create smart and fashionable luggage that offers lasting quality and real value.